The Metro 5 route would be 24.9 km long and will have seven stations. The trains deployed on this route will have six coaches. PM Modi laid the foundation stone for two metro corridors in Mumbai. He is scheduled to lay the foundation stone of another corridor in Pune. 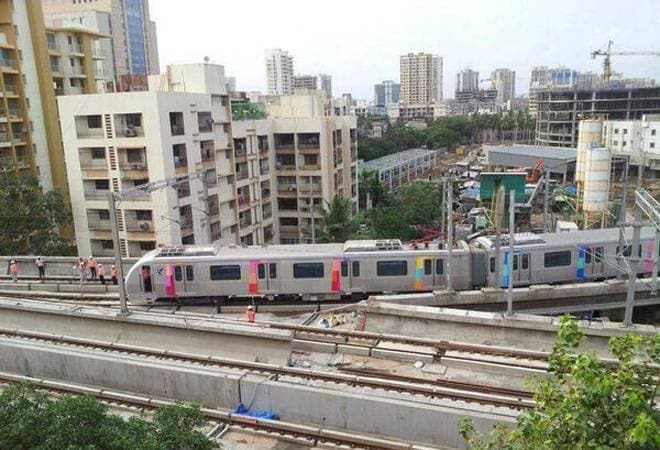 The Mumbai Metro 5 would run between Thane-Bhiwandi-Kalyan and Metro 9 will run on the Dahisar-Mira-Bhayander route. The Pune corridor will link Hinjewadi and Shivajinagar areas of the city. The new lines will ease the traffic in Pune and Mumbai. The Metro 5 route would be 24.9 km long and will have seven stations. Estimated to be built at a cost of Rs 8,416 crore, Metro 5 is expected to serve 2.29 lakh commuters daily by 2021. The trains deployed on this route will have six coaches. The Metro 9 line will have eight stations and will stretch on a distance of 10.3 km. The estimated cost of Metro 9 is Rs 6,607 crore and is expected to be complete by 2022. This line will also be integrated with Metro 7 that runs from Dahisar to Andheri, Metro 2A that runs from Dahisar to DN Road and the Rs 3,600 crore Metro 10 that runs from Gaimukh to Shivaji Chowk. The Pune line between Hinjewadi and Shivajinagar will be built at a cost of Rs 8,313 crore and will be 23 km long. The Mumbai projects are being executed by the Mumbai Metropolitan Region Development Authority (MMRDA) and the Pune project has been undertaken by the Pune Metropolitan Development Authority on a public-private partnership model. PM Modi who is on a day's visit to Maharashtra has also launched infrastructure and housing projects of Rs 41,000 crore. The Prime Minister also launched the book Timeless Laxman, which is based on cartoonist RK Laxman at the Raj Bhawan. The PM is also scheduled to launch the Navi Mumbai town planning authority, City and Industrial Development Corporation of Maharashtra's (CIDCO) mass housing scheme worth Rs 18,000 crore, which will offer around 89,771 affordable homes under the Pradhan Mantri Awas Yojana.